For the past decade, comedy clubs have flourished in large cities across the country. On any given night, fans can enjoy both household names and future stars as they rocket toward national recognition. Unfortunately, smaller cities (i.e. those with populations under 400,000) often lack the infrastructure to showcase talent of this caliber. The United Colors of Comedy Tour is designed to bring premium quality standup comedy to the “Heartland of America.” Four nationally touring comedians will be chosen from comedy scenes all across the country and then sent off to perform approximately 60 shows in PACs, small theaters, and college campuses — focusing on small areas with large appetites for comedy. In our increasingly divisive political climate, we strongly believe that comedy can bring people together. It unites people of all races, creeds, and backgrounds in a way that other forms of entertainment can’t. Join us as we bring America together, one laugh at a time. We will travel the country and assemble four of the nation’s finest young comics, each with unique styles, backgrounds, and perspectives. All regularly headline comedy clubs across the cuntry. A trail-blazing little person in the entertainment world, Selene Luna (pronounced, s uh – l EH – n eh), at 3’10″, is a small package with very big presence. A veteran of the stage and screen, Selene cut her teeth performing in clubs and art venues and quickly became a darling of Hollywood’s underground scene. An original member of the Velvet Hammer Burlesque, Luna toured internationally and was a featured dancer in the undisputed Queen of Burlesque, Dita Von Teese’s burlesque spectacular for five years. Mike James is an in-demand comic. 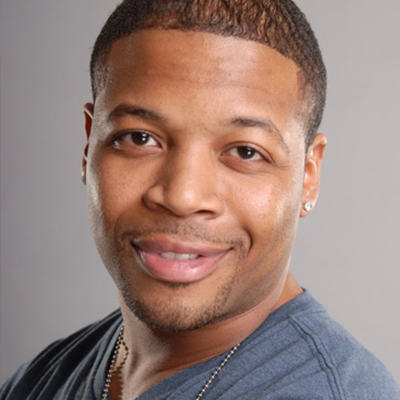 He performs around the country as a corporate entertainer and can also be found on stage in some of the most prominent comedy clubs. Mike uses his improvisation skills and his life experience as a husband, father and generally very confused man to relate to his audience in a hilarious montage of miscommunication and everyday observations. Starting comedy in Atlanta, GA and now based in Los Angeles, Neel Nanda has performed all over the country with some of comedies’ biggest acts. 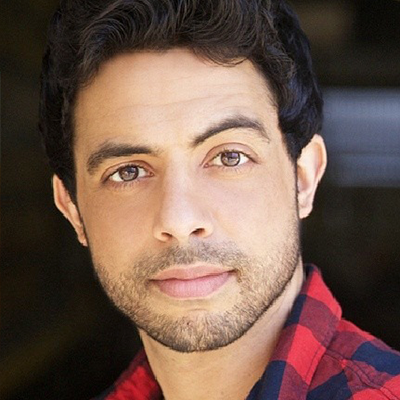 Neel has most recently performed stand up on ABC's JIMMY KIMMEL LIVE & has acted and performed on COMEDY CENTRAL's ADAM DEVINE'S HOUSE PARTY. He has also appeared on MTV and on IFC's GARKUNKEL AND OATES SHOW. Neel has also performed stand up comedy on HULU's COMING TO THE STAGE, Oxygen's FUNNY GIRLS & on several episodes of the series FLOPHOUSE for VICELAND directed by Lance Bangs. 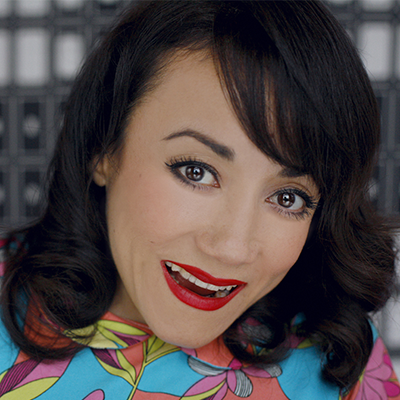 At 5’2, comedian Jenn Snyder packs a whole lot of funny in her one-two punch style of comedy. 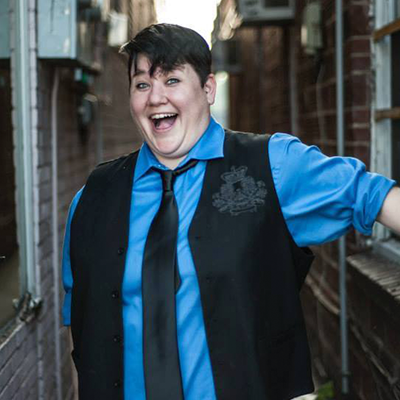 Topics ranging from her days growing up as a lesbian in a “good ol’ boy” town, to her dealing with the public on a daily basis, this comedian will pull you in with her stories and leave you wanting more with her quick wit and hilarious observations. Born and raised in Columbia South Carolina her ultimate goal is to unite all people through laughter. Lebanese-Palestinian-Syrian-Italian-American, born in Oakland, California, Sammy Obeid (Twitter, Instagram, Facebook) is best known for his 1,001 day streak of consecutive comedy performances. It began on December 26th, 2010, and concluded on September 21st, 2013– four days after an appearance on TBS’s Conan. Breaking the old world record on Day 731, Sammy set the new one at 1,001 Arabian Nights of Comedy. 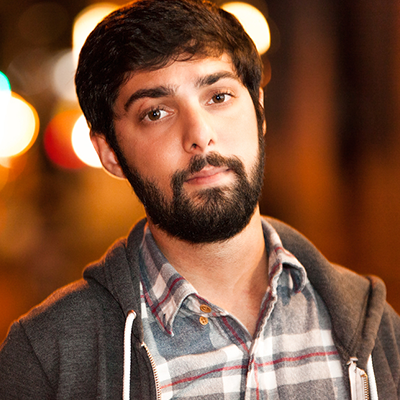 Aaron is a standup comic born and raised in Montgomery, Alabama. 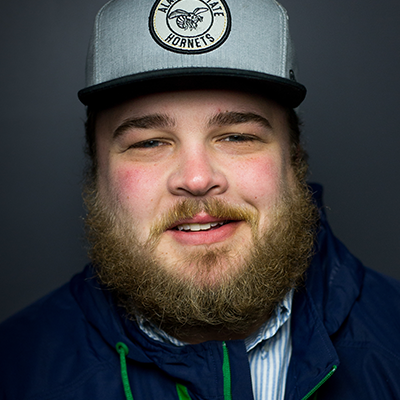 After barely graduating from Notre Dame in 2014, Aaron moved to Nashville and started doing standup. Since then, he's become a regular at Zanies Comedy Club and has performed in venues/clubs all over the Southeast. In 2017, Aaron competed in the Laughing Skull Comedy Festival in Atlanta and helped break the Guinness World Record for Longest stand-up comedy show. Questions about any of our comedians? Contact us today! Here’s an example of what a 4-week stretch of the tour will look like, once all of the venues are booked. We’ve listed the populations to each city and its county, so you have an idea of the kind of exposure our sponsors will be getting. Your company or product name will be part of all media advertising as a sponsor "in part" or "brought to you in party by"
Note: the fee for corporate sponsorship is a function of the following expenses: promotional advertising, comedian’s fees, venue rental, transportation/lodgins, promotional materials, tour labor, public relations, and other miscellaneous items (insurance, meals, fuel, petty cash). Each of our sponsorship plans can be tailored to fit your company’s individual needs. For more information, drop us a line today. Facebook events for each show will include a detailed description outlining each tour sponsor. Multiple ad campaigns (promoted posts, boosted events) will target locals in the relevant demographics. 1-2 local billboards will be used to promote each show along with posters and flyers displayed in various local businesses. We’ll also purchase 8 newspaper insertions (2/week x 4 weeks). A total of 100 radio spots (25/week x 4 weeks) will be purchased for each show. Each ad will explicitly reference the tour sponsors. Sponsor names and logos will be featured on all ticket facings, beverage cups, and tour t-shirts. Stage and venue banners will be displayed for each show. Interested in hosting an event or becoming a tour sponsor? Have a question about The United Colors of Comedy Tour? Fill out the simple form below, and we’ll get back to you ASAP.